Buy Gear. Play Music. Be Happy. MAURICE VICTOR - DIRECTOR, GUITAR, Jazz Theory, bass & UKULELE. Born in Melbourne, Maurice graduated in 2000 with a Bachelor of Music (Professional Music) from Berklee College of Music, Boston, MA, USA (www.berklee.edu), and an Advanced Certificate in Music Performance (Jazz/Pop), Box Hill TAFE, Melbourne, Australia. He also has a BEc. (Economics), Monash University, Melbourne, Australia. Currently, Maurice gigs with "None of Your Business", playing a variety of Rock, Blues and Dance music from the 50's to the present. Returning home after almost 10 years abroad, Maurice has gigged extensively in the USA, Europe, Mexico and Australia, playing guitar in a wide variety of settings. He has also taught in the studio setting for many years in America and Australia. The small ensemble setting is his focus, using music history, Jazz theory, harmony and ear training as a basis for teaching. Whether you play Rock, Blues, Funk, Jazz, Contemporary or World Music, you can expand your playing skills with the 30 years of music experience and musicianship Maurice has to offer. Vera completed her L.MusA for violin at age 16. She has been learning the violin since three years old and understands what it’s like for a young child to learn an instrument. She is inspired to pass on her knowledge and experience to students of all ages and backgrounds. Besides being trained classically, Vera also runs a YouTube channel, VISZ music where she posts Disney covers and covers of pop songs. She enjoys arranging these pieces by ear and expressing her creative side through music. Vered was born in Israel and moved to Melbourne in 2010 with her family. She is enthusiastic to share her experiences by teaching voice training and performing skills. "Being authentic with yourself will give you the best results". She has a Bachelor of Music (BMus. ), a Music Teaching Diploma (DipEd) and M.A (Communication Management). She has also graduated in Theatre Studies at the “Room Theatre” of Amir Orian. Vered started her teaching career in Melbourne as a music teacher at “Music Works Magic”, and later at King David School, Chabad, Beit Rivkah and more. Performing in Australia with "Latin Flavour" allowed Vered the opportunity to sing at private functions all over Australia. She has performed as a soloist at: The Melbourne Recital Center, National Theatre, Caulfield Town Hall and St. Kilda Town Hall. She has also played a roll in the press release for the "Chopper the Musical". Virginia specializes in Classical Piano Music. She is an innovative and imaginative tutor with an extended repertoire, able to relate to students of all ages. She is a graduate of: USC Universidad de Santiago de Compostela (Music Education), UNIOVI Universidad de Oviedo (Music History and Science) and the Superior Conservatory of Ribeira (Piano). Her knowledge has been acquired over 20 years, in a variety of different educational and performance opportunities throughout the world. Virginia speaks: Spanish, Gallego and English. DAVEY PORTER is a Professional Drummer residing in Melbourne Australia. He is a well respected musician with a long list of drumming credits including: Cold Chisels, Ian Moss, Daniel Merriweather,Eran James,Ian Moss, James Reyne, Tina Arena, Renee Geyer, Tommy Emmanuel, Jenny Morris, Vanessa Amorosi, Debra Byrne, Vika & Linda Bull, John Farnham, Joe Camilleri & Black Sorrows, Richard Clapton, Toni Childs, Ernest Ranglin, Bunny Ruggs, Rodriguez, Electric Mary. Davey Porter will be teaching at MOTOWN music school with limited availability. Get in early and book your spot. Not only a classically trained pianist, Shani is a rock and pop trained guitarist and contemporary and Jazz trained vocalist. She offers an eclectic combination of many genres. As a music teacher, Shani has years of experience as well as a composer, songwriter and arranger of music for choirs, bands and orchestra. Having recently graduated from James Morrison Academy of Music with his Bachelor of Music and Honours, Tim has moved to Melbourne and began gigging professionally in the music scene. Specializing in Jazz, he has been fortunate enough to study and play with some of Australia’s best musicians, with his main bass teacher whilst studying being Phil Stack from Thirsty Merc. Tim also studied trombone under James Morrison and Wycliffe Gordon. Tim is able to play in a variety of styles and on several instruments. This diversity allows him to offer a holistic approach to his teaching. As apart of his skills in arranging he has acquired extensive piano skills. Frances began her musical journey at age five when she was classically trained with the Russian method. 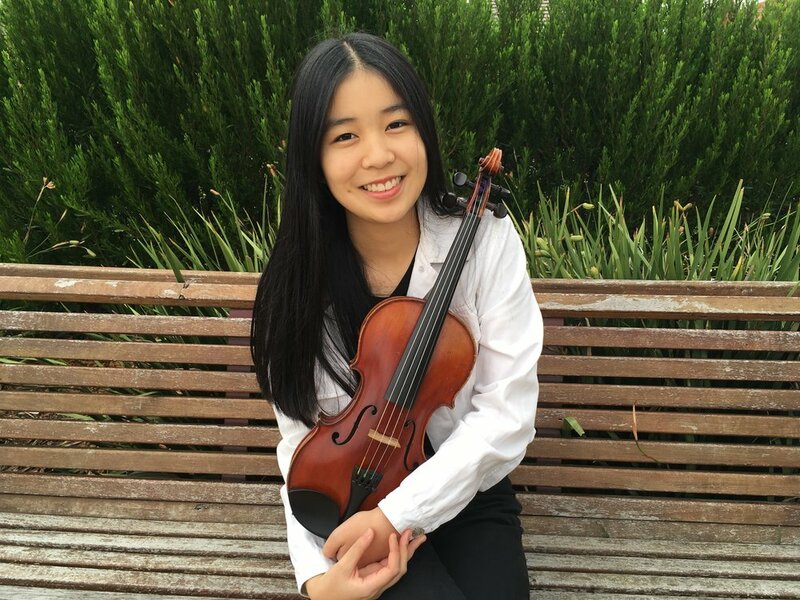 On completion of her AMEB exams, Frances continued her education at the Monash University Conservatorium and completed her Bachelor of Music. Throughout her journey, she has been involved in numerous eisteddfods and performances. Frances’ is a driven teacher and musician, and continues to undergo professional development as well as personal. She also plays the ukulele and explores a wide spectrum of musical genres. She endeavors to provide her student’s with an all-rounded musical education, including musical theory, history, technical skills, ear training and reading. While AMEB preparation is offered, Frances is also passionate about instilling a love for music in every student, aiming to inspire and motivate them. She is available for all ages and skill levels and will work towards helping you achieve your musical goals.